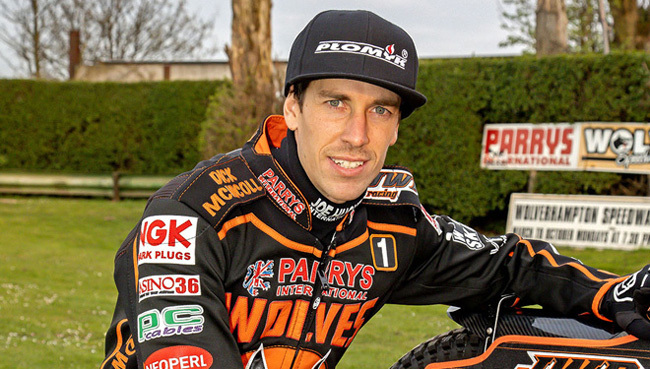 WOLVERHAMPTON boss Peter Adams was full of praise for his side after their impressive 55-37 win over Rye House at Monmore Green. 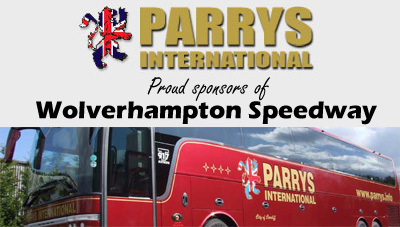 The revamped Parrys International Wolves put in their most complete performance of the season so far to comfortably dispose of the SGB Premiership newcomers. All seven riders recorded at least a paid win and played their part in a convincing team performance as they accounted for 10 race winners. And team boss Adams was delighted to see new additions Rory Schlein and Mark Riss contribute to their biggest victory of the campaign. Said Adams: “We expected a lot more from Rye House, but having said that all our guys were on it today. “There’s so much strength in the top end of the team, but lower down there were contributions from everybody. Skipper Freddie Lindgren bagged a four-ride paid maximum before sitting out heat 15, whilst Kyle Howarth notched paid double figures after partnering Lindgren to three 5-1s. Aussie ace Sam Masters was in the thick of the action throughout and won three races including a vital victory in heat seven as Ricky Wells took a tactical ride. Despite not enjoying his best evening, Jacob Thorssell hit the front with a determined heat 14 ride to end with seven points. He was joined in the penultimate race by the impressive Mark Riss, who notched two paid wins on a promising debut. He got off to a dream start with a 5-1 in heat two alongside youngster Nathan Greaves, who demonstrated plenty of improvement in the No.7 spot. 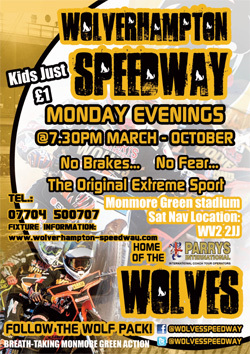 Wolves will be back in action on Bank Holiday Monday as they host King’s Lynn at Monmore Green (6pm). 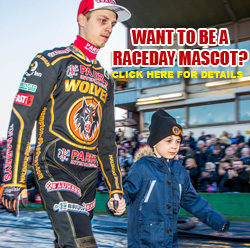 WOLVERHAMPTON 55: Sam Masters 13, Freddie Lindgren 11+1, Rory Schlein 8, Kyle Howarth 7+3, Jacob Thorssell 7, Mark Riss 5+2, Nathan Greaves 4+1. 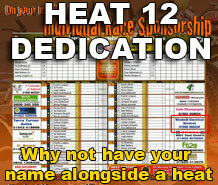 RYE HOUSE 37: Stuart Robson 10+1, Ricky Wells 8, Chris Harris 7+1, Scott Nicholls 7, Ellis Perks 4, Max Clegg 1, Edward Kennett 0.